This is where you'll find me all day today, working away on a little sumpin-sumpin for my store. I'll post what that sumpin-sumpin is as soon as I finish. I'm trying to get the store open by mid November, so I have to work, work, work to make it happen. Here's a little tease of my workroom. I'm going to clean it up this week and post pictures so you can see where I work. I have two very large rooms, connected, and I'm lucky enough to fit everything I need in there. In the meantime, here's a tip for those of you with your own work spaces. I needed a solution for hanging all of my trims, separately, and here's the fix I came up with. I'm a bit of an organization freak. 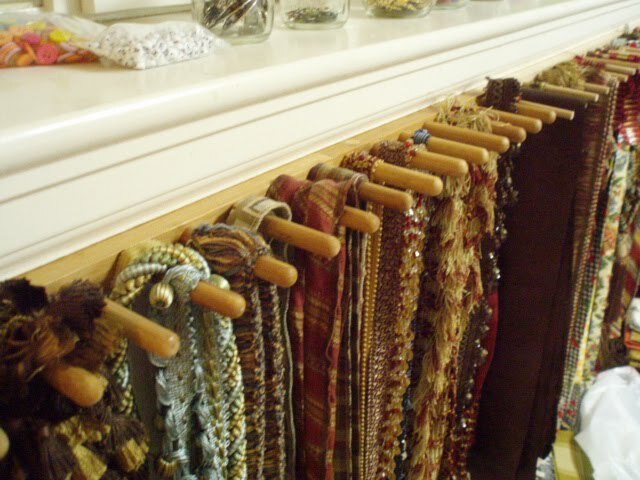 These are bamboo plate racks, but any wood plate rack would work. I cut them in half, and screwed them onto my wall. Perfect solution for separating my trims! 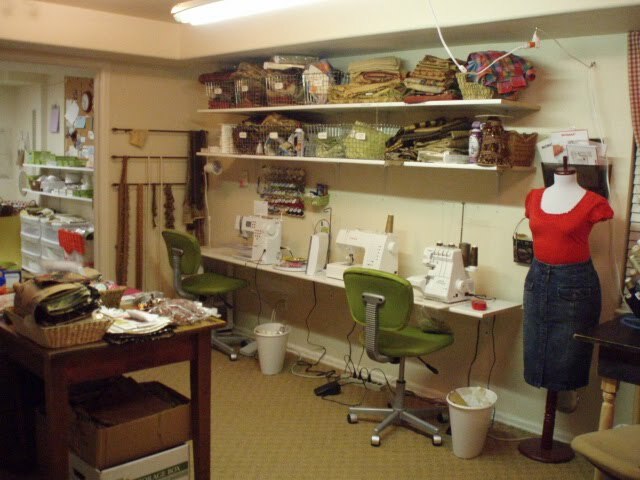 I'll post the full workroom next Sunday and show you a lot of other organizational solutions I've found that work great when you need everything accessible without having it all in a heap at your feet.